Like many college graduates nowadays, you may be a bit unsure of what’s going to happen next. After taking that next step on the career path, visit our Hyundai dealer near Denver, CO, and take advantage of the exclusive Hyundai College Grad Program. Buy or lease a new Hyundai and get $400 off the price of it just by proving to us that you’re a college graduate or are soon to be one. * With all the hard work you’ve put in over the past few years, it’s time to be rewarded. Get behind the wheel of a new Hyundai Elantra lease or buy a Santa Fe from McDonald Hyundai with the Hyundai College Grad savings available to you. Who Is Eligible for the Hyundai College Graduate Program? When you shop at our Littleton Hyundai dealer, we’ll take the guess work out of whether you’re eligible for the $400 in Hyundai College Graduate savings. To qualify, you must have graduated with a master’s, bachelor’s or associate degree from a U.S.-accredited college or nursing school within the past two years. If you are set to graduate within the next six months, you can also qualify. Do you think you’re eligible? Apply for Hyundai financing online, then visit our showroom to find the new Hyundai to match your lifestyle. How Do I Take Advantage of the Hyundai College Grad Rebate? 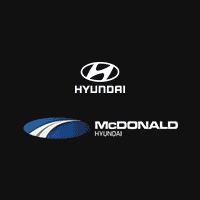 Your friends at McDonald Hyundai make it easy for you to claim the $400 in Hyundai College Grad bonus cash you deserve. All you have to do is bring in a copy of your diploma or a letter from the registrar’s office proving you graduated within the past two years or will graduate within the next six months. Bring proof of employment, too, and you’ll be well on your way to saving big on a new Hyundai sedan or SUV. Drive into the future with the help of a new Hyundai Tucson or Hyundai Sonata. We look forward to assisting you.